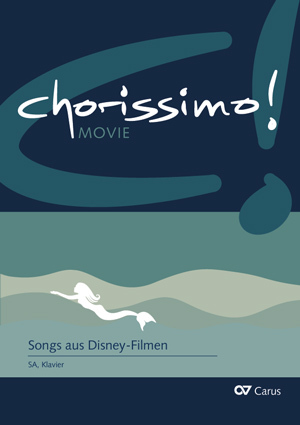 Disney films remain ever-popular, chiefly because of their soundtracks. Many songs continue to enjoy fame and popularity decades after the film premieres. The songs in this volume – Supercalifragilisticexpialidocious from Mary Poppins dating from1964, Under the Sea from The Little Mermaid dating from 1989 and I See the Light from Tangled dating from 2010 – received many awards including Oscars and Grammys. Because the tunes are so catchy, they are timeless, appeal to many generations, and have a life of their own beyond the film. High spirited songs like sympathetic nanny Mary Poppins’ nonsense song can be sung anywhere! Rainer Butz has expertly arranged the songs for equal-voice youth choir with piano accompaniment. 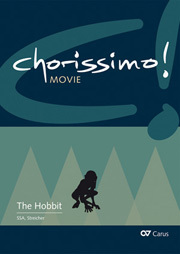 The new series “chorissimo! 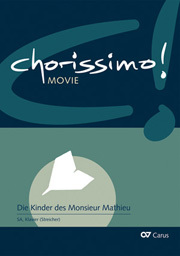 MOVIE” contains up-to-date choral arrangements of well-known film music suitable for school and youth choirs.